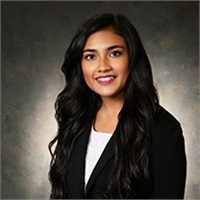 Leslie has been with Mersberger Financial Group since January 2015 coming to the firm as a marketing graduate with an emphasis in sales from the University of Wisconsin Oshkosh. Leslie focuses on client events, social media, website monitoring, office compliance, marketing materials, data base entry updating and overall client communications. Leslie is also a member of the American Marketing Association (AMA). Leslie lives with her husband Tylor. In her spare time, Leslie enjoys playing basketball, attending fitness classes, swimming, four-wheeling, going for motorcylcle rides with her husband and spending time with family and friends. She also is an avid traveler who enjoys having the opportunity to experience new cultures, visit different countries and go site-seeing.